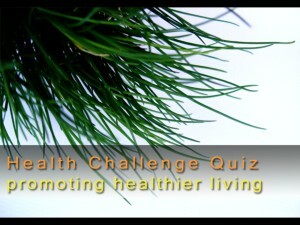 Emedica developed the Health Challenge Quiz as an interactive health promotion tool suitable for use in waiting rooms for General Practice, Outpatient departments, Pharmacies and schools. Dr Mahibur Rahman was awarded a Roche / Royal College of General Practitioners GP Registrar award for this project in December 2005. You can read more at the RCGP website HERE. The quiz was also recently featured in GP / Medeconomics. 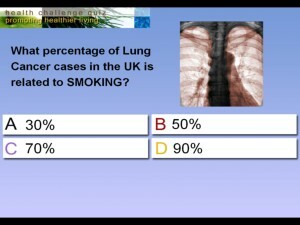 It shows a question and then allows patients time to think before showing the answer with a brief explanation. 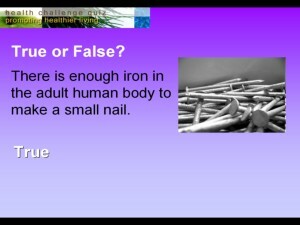 It has a mixture of questions covering health promotion topics, as well as fun questions about health and the human body. Version 1 of the complete Quiz is now available for download. It has 100 slides and runs for 30 minutes before restarting automatically. It can be easily updated to include information about new services in your surgery / pharmacy / school as well as local services (e.g. smoking cessation, family planning, drug and alcohol etc.). To get the full quiz (free of charge) please email us with details of where you plan to use the quiz. 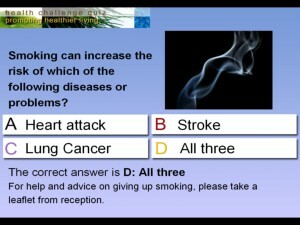 We will send you details of how to download and use the full version of the quiz.